It’s no secret that planning a graduation party takes a lot of work. On top of coming up with the guest list and sending out invitations, you’ll also have to book a locale and make sure you have the right type of food, and plenty of it to go around! 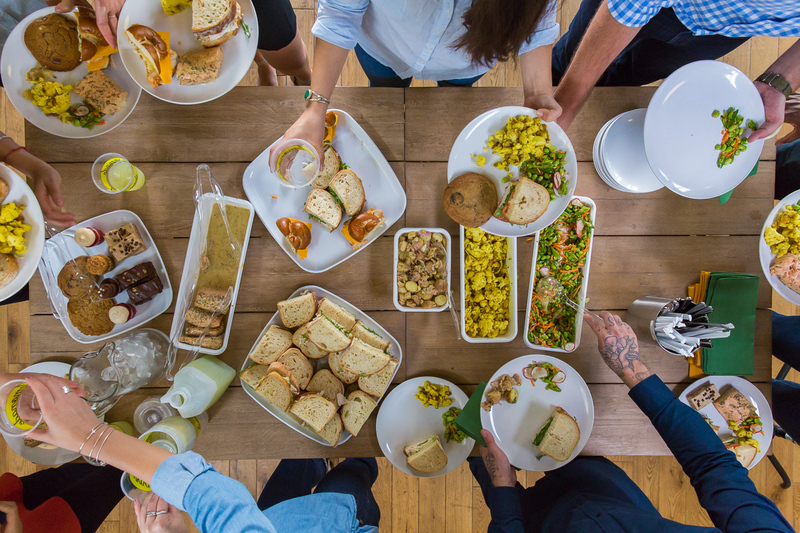 Whether you’re planning a high school, college, or grad school graduation party, the team at Lemonade can help make things easier with our graduation catering. Why Choose Lemonade For Catering? At Lemonade, we offer a very diverse menu that has something for everyone to enjoy with vegan, vegetarian, and gluten-free options available. From our mouthwatering poke bowls to a wide selection of top quality meats & fish, beautifully prepared salads, decadent desserts, and of course delicious lemonade, you and your guests will be treated to an unbeatable catering experience. Once you choose the foods you want to serve at your party, you can ask us to deliver it to your location or arrange to pick it up yourself, it’s completely up to you! If you’re unsure of what foods to serve or how much you’ll need, our catering team is more than happy to help. We can even supply you with the cutlery, plates, and napkins you’ll need to serve your guests. We love catering parties and we’re ready to make your graduation celebration like no other! With our culinary expertise and catering experience, your celebration will feature amazing food choices for your guests and a relaxing & stress-free party experience for you! Contact Us For Graduation Catering Today! Whether you’re planning a graduation party for a high school, college, or grad school graduate, our catering team can help make your celebration one that’s sure to be remembered! If you’re ready to order catering from us, you can get started here. We’re excited about helping you make your graduation party a smashing success!